Mid-month I finished working the insane schedule that I mentioned last month, and I finally had some time to rejoin the world again. So, I've been spending a lot of time focusing on reducing my stress, improving my diet, and increasing my exercise the past few weeks. I bought myself a fitbit one activity tracker to help me out and so far I'm loving it! One of the things that I am doing to get more exercise is hiking every Sunday morning, and it's quickly turning into my favorite time of the week. It's so nice to get outside and enjoy nature while moving my muscles that have been inactive for way too long. 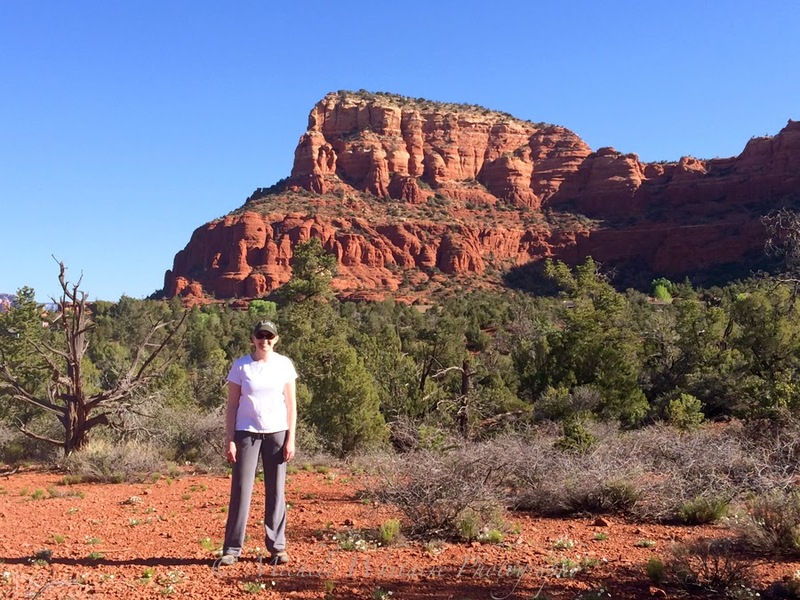 Before my parents left to head back home, we took a trip to Sedona where we did a little hiking. While not technically a self-portrait, I decided to use a photo that Kevin took of me during our hike as this month's photo since it does a great job of showing where my focus has been this month. Plus who can turn town a peek at Sedona's gorgeous red rocks?